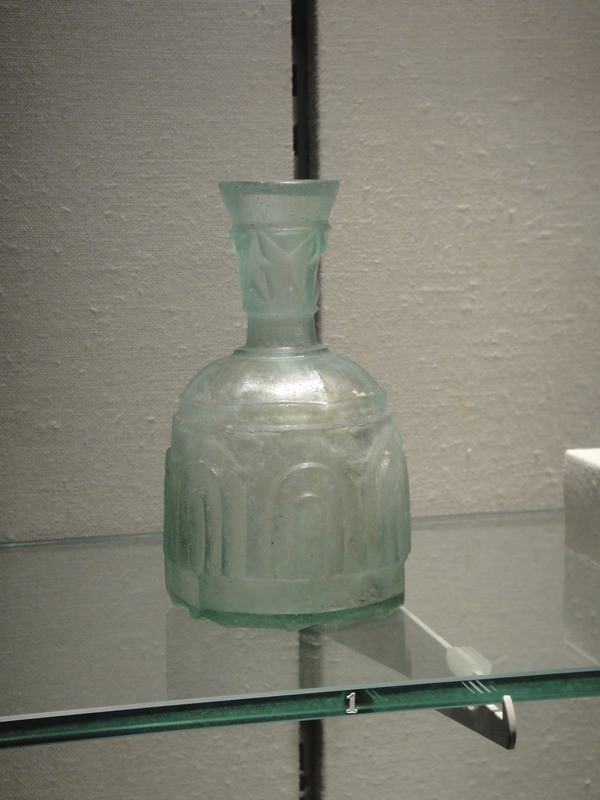 Glass in the Islamic World: In the seventh century a new religion, Islam, arose in the Middle East out of the Arabian Peninsula. 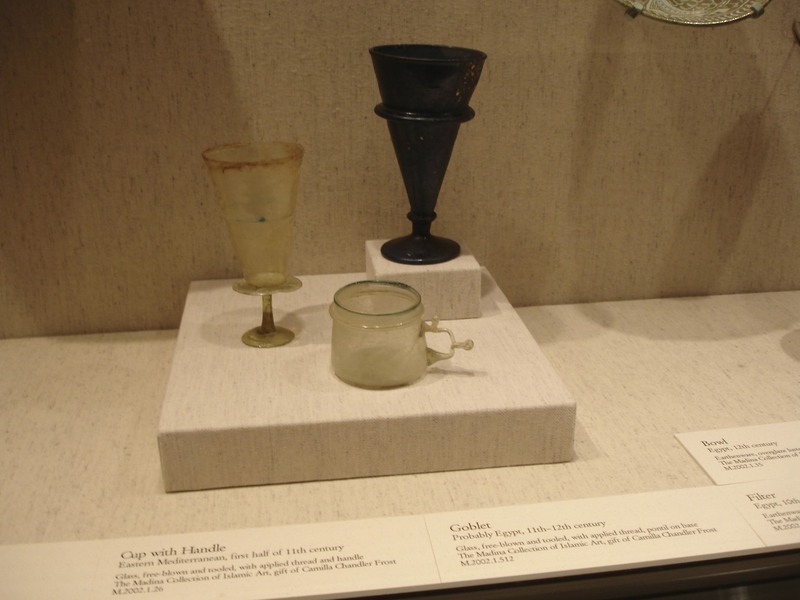 The founder of Islam, the prophet Muhammad died in 632. 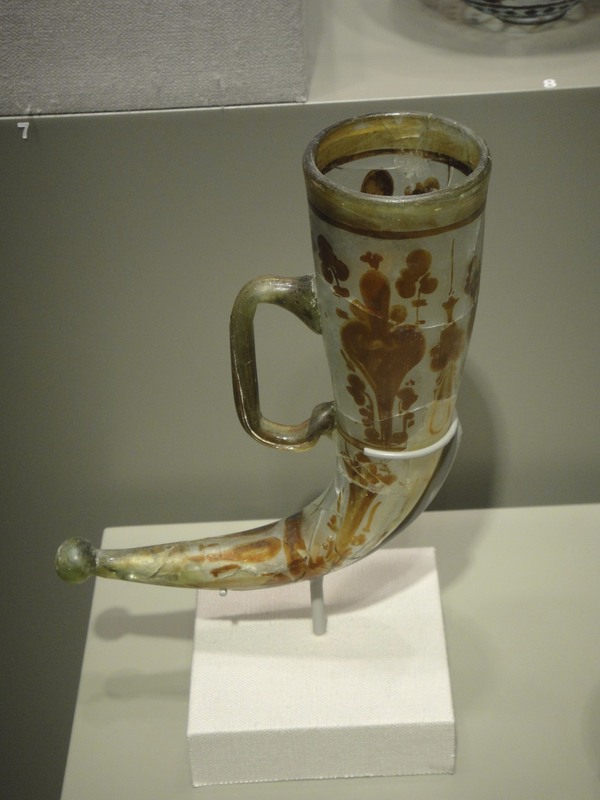 Only a century later, his followers, called Muslims, had conquered a vast empire that extended from Central Asia in the east to Spain in the west. 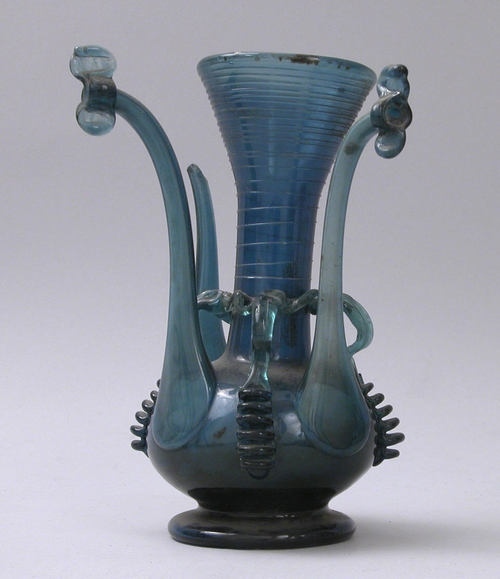 At this time glassmaking was a flourishing industry in Egypt and the Middle East and many other areas that came under Islamic rule. 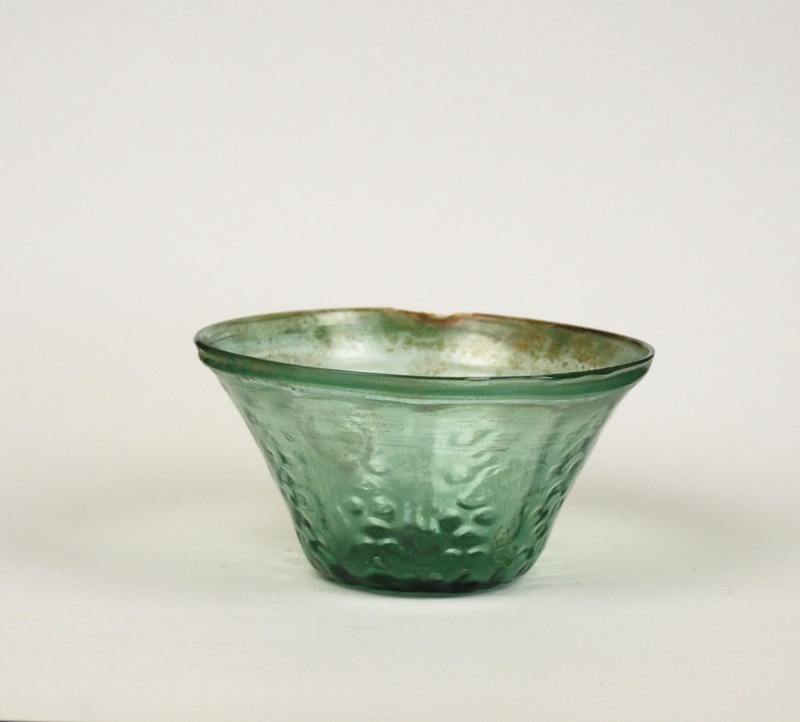 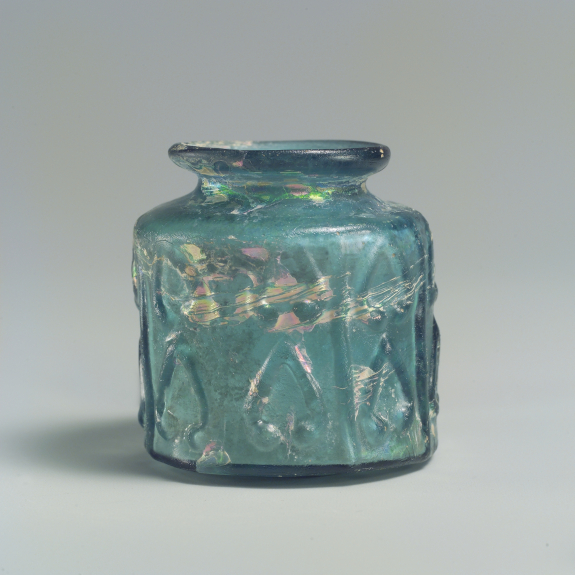 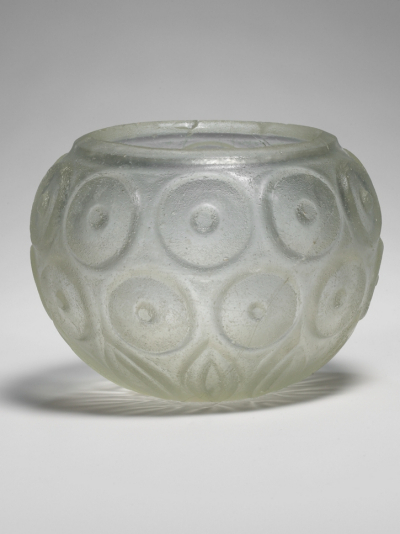 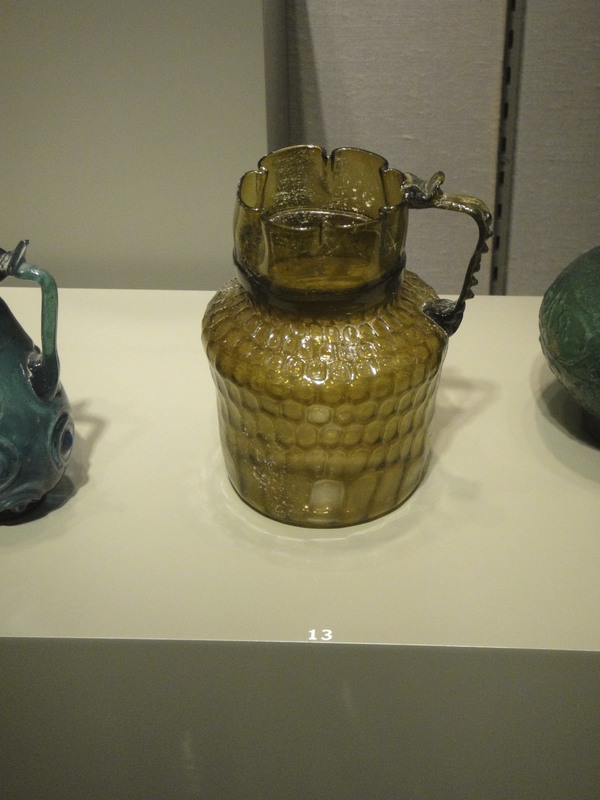 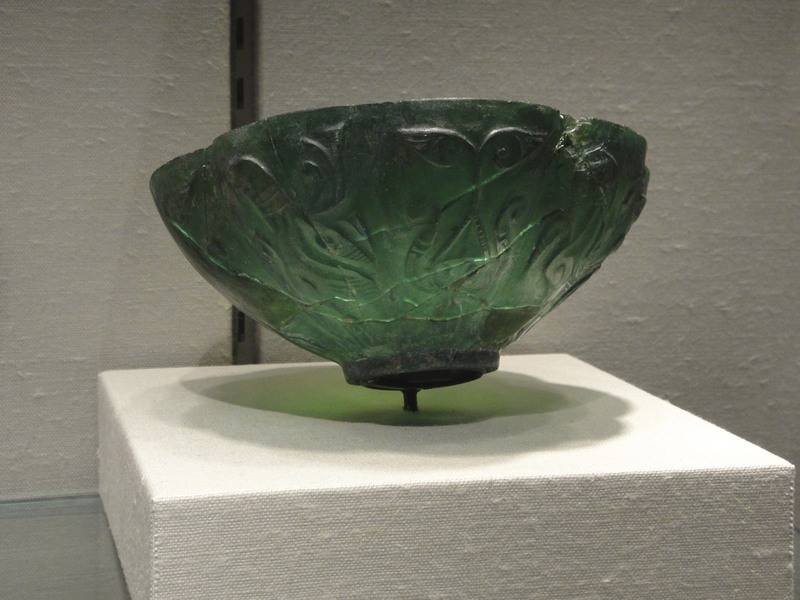 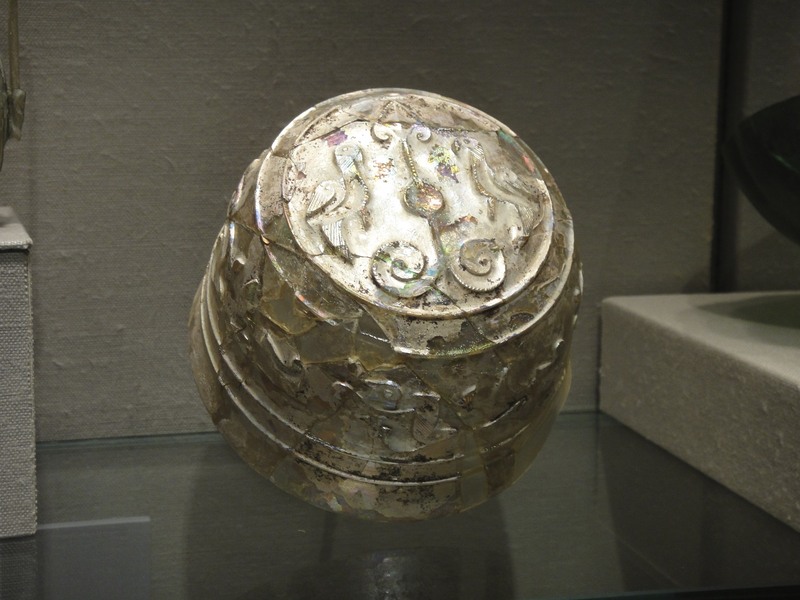 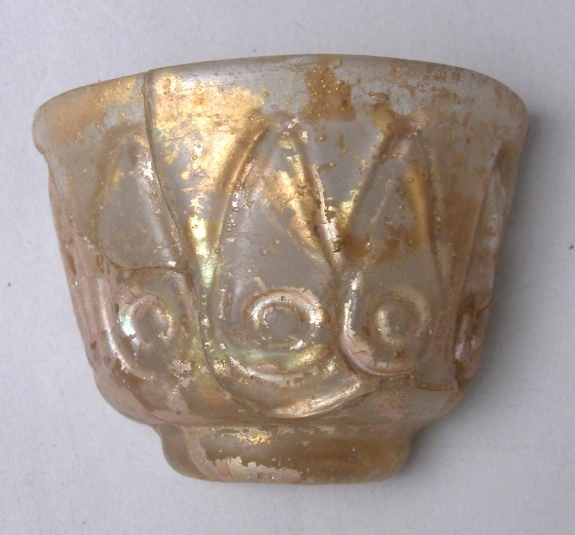 Glass coming out of these areas from the seventh century onward is considered Islamic glass up to the Modern Era. 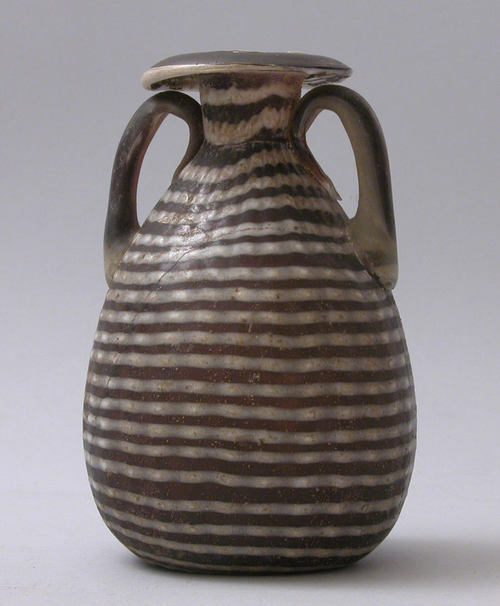 The early period, seventh to tenth century, especially shows a great deal of Roman influence in its shapes and decorative techniques. 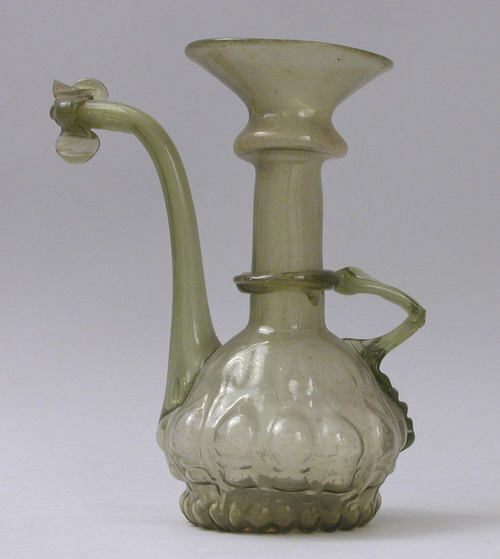 Islamic glassmakers also in this period went on to develop new forms and types of ornament while reviving or rediscovering ancient techniques and adding one new technique: staining. 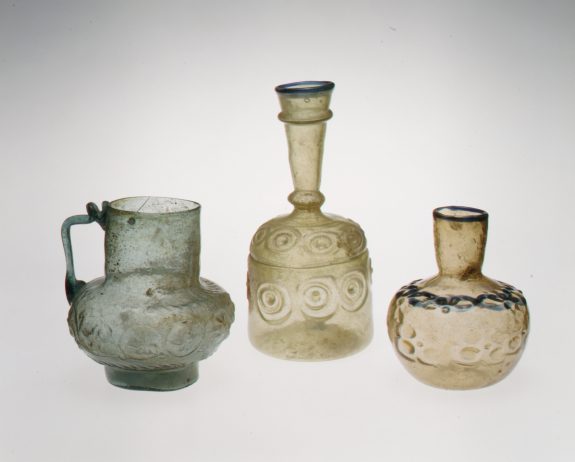 Islamic glass can be divided into different periods: Early Glass seventh to tenth century, Early Medieval Glass eleventh to mid-thirteenth century, Late Medieval Glass mid-thirteenth to fifteenth century, Late Glass sixteenth to nineteenth century. 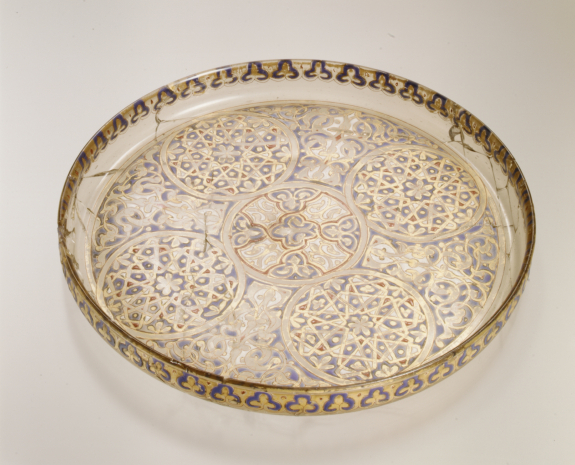 The glass in the Islamic World is richly colored and decorated with rhythmically repeated patterns of geometric shapes, plants, animals, human, and quotations from the Koran. 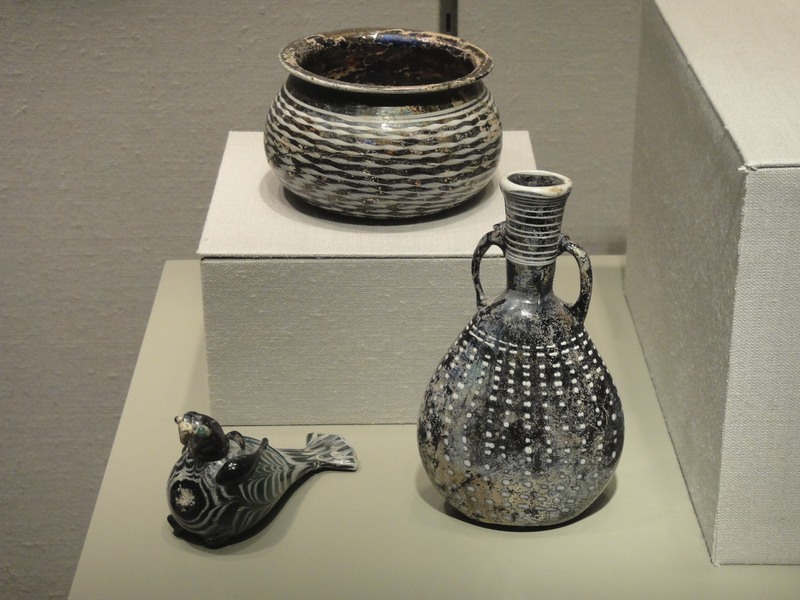 For further read on this subject: Islamic Glass, Metropolitan Museum of Art Bulletin, Marilyn Jenkins, Fall 1982 and Islamic Glass in The Corning Museum of Glass Volume One, David Whitehouse 2010. 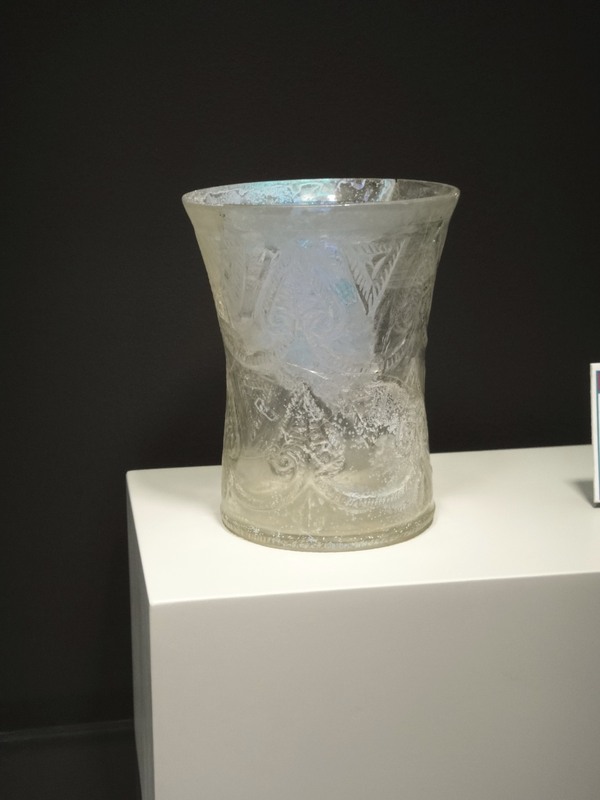 The examples that follow are from The Corning Museum of Glass, The Metropolitan Museum of Art, The Los Angeles County Museum of Art (LACMA) and Allaire Collection. 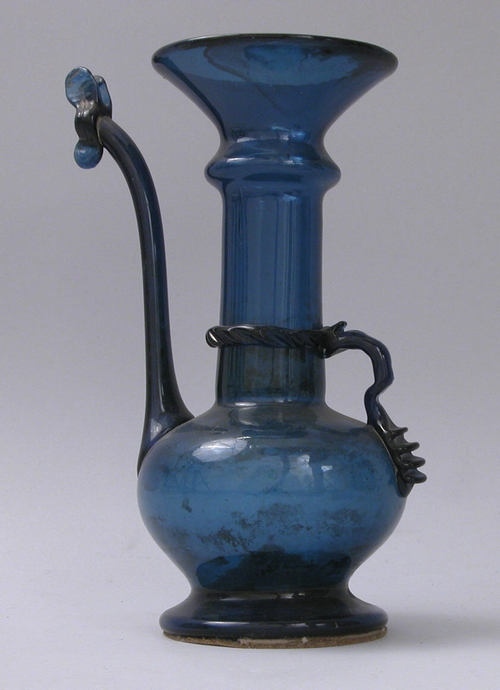 Click on the pictures to enlarge them.